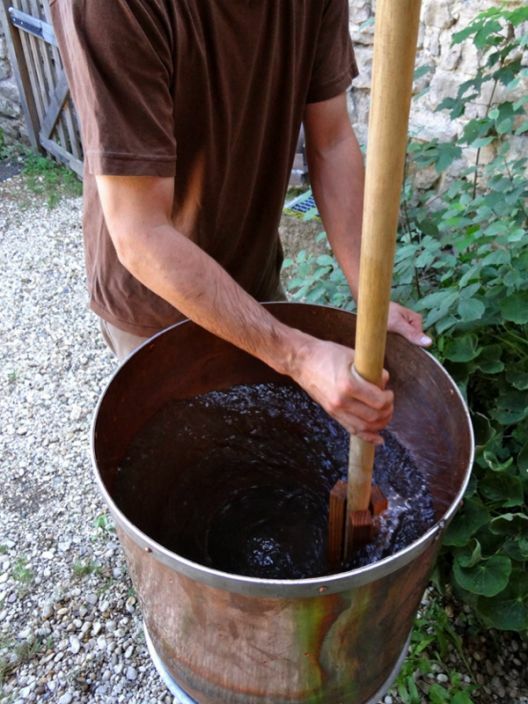 To facilitate hand stirring volumes exceeding 30 litres, a wooden hand stirrer can be used. This model is easy to make at home. 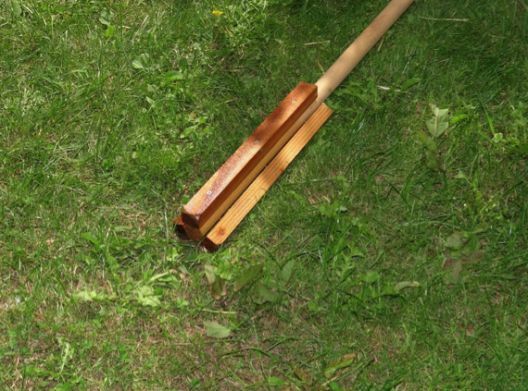 Be sure to use only untreated wood. It is highly recommended that during stirring, the upper end of the handle be firmly attached to a hook.